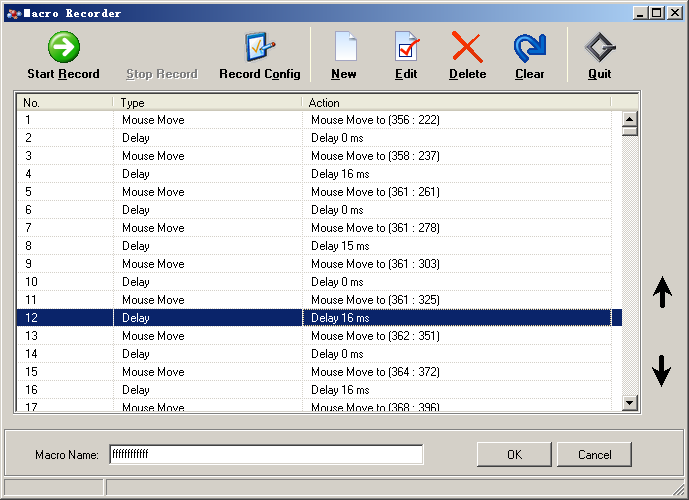 AC Mouse Recorder is an easy-to-use Mouse And Keyboard Macro Recorder,Editor and Repeater tool.It can be used to automatic record mouse movements, mouse clicks, keystroke actions and then repeat the macro at any time and as many times as you want. 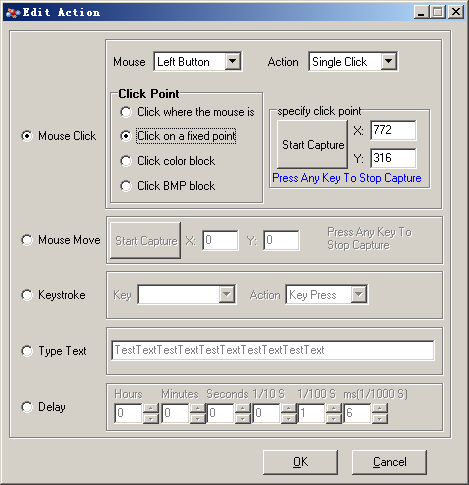 AC Mouse Recorder also can set start and stop hotkey. And it can set repeat speed and interval between two repeats. AC Mouse Recorder also can set repeat schedule. You can set auto run the script every day,every week, every month or someday as you wish. With many jobs, and even the most menial tasks, there is a certain amount of aggravating repetition involved in most online surfing and computer-related tasks. It can be difficult to deal with some of the mindless repetition, and when you are able to bypass it all by using a simple program, you'll be able to do a lot more work in a lot less time. Believe it or not, there are programs out there that will allow you to skip all the physical work of clicking. By using a program that records your mouse clicks and loops it to your specifications, you can get a lot of work done. One of the best programs on the net for macro replayer usage is AC Mouse Recorder. The way that AC Mouse Recorder works is actually quite easy to understand. You can use a special button to record the actions that your mouse does, set it to replay a certain amount of times, and just let it go to work. AC Mouse Recorder also comes with start and stop hotkey usage, for those times when you aren't sure how many times you will have to do something with your mouse. It even allows you to schedule when a mouse macro runs based on the day and time, and also choose from a variety of different speeds, too. Of course, what makes it great is that AC Mouse Recorder isn't just a regular mouse recorder, either. You can also record keyboard strokes that need to be repeated. It also comes with both a picture clicker and a color picker for graphic artists and web developers to use. Should you decide that you need to tweak an existing macro, AC Mouse Recorder also has you covered thanks to its highly advanced, easy to use Macro Editor. People who have a lot of typing to do, especially when it comes to phrases that are time consuming and difficult to type easily, will love the auto text typer, which allows you to record certain lines of text and automatically add them to the documents that you are making with the use of a hotkey. Typing up large paragraphs has never been easier thanks to AC Mouse Recorder. Believe it or not, there are a lot of different macro recorders that are currently being sold for a price throughout the net. Surprisingly enough, most of them don't have half of the features that AC Mouse Recorder boasts. One should wonder why anyone would pay for something that is low quality, when the best possible option for them is out there for free. Don't wait another moment, or waste another minute doing mindless repetitive tasks. Download your copy of AC Mouse Recorder as soon as possible, and free up some time in your life.